Apple iPhone is among the most desired flagship phones on the market. It’s been more than 10 years since Apple announced the original iPhone and things have changed so much since then. iPhone models are getting smarter and bigger every year to catch up with the latest smartphone trend out there. Back in 2014, Apple debuted the iPhone 6 and iPhone 6 Plus after months of leaks and rumors. The pair marked the first iPhone models with a 4.7 inch and 5.5-inch displays on the market. The iPhone 6 and iPhone 6 Plus quickly set a sales record with more than 10 million units shipped in the first three days after public launch. Last year, Apple released the iPhone X to celebrate the 10th birthday of its iPhone models. The iPhone X features the biggest design change Apple has ever made, with a glass-back design, an OLED display panel, and no physical buttons. However, the iPhone X is not cheap out there as it sets you back $999 for the basic 64GB model. Of course, you can grab the phone at a local carrier’s store for a cheaper rate. In exchange, you need to sign up for a payment contract that ties your phone to a single network. Specifically, most carriers are locking Apple iPhones to their network in an attempt to make sure that you use their service until your contract ends. This practice has been out there for years and pretty common if you are in the US, the UK, and Australia. And, there will be no exception to this year’s iPhone models. 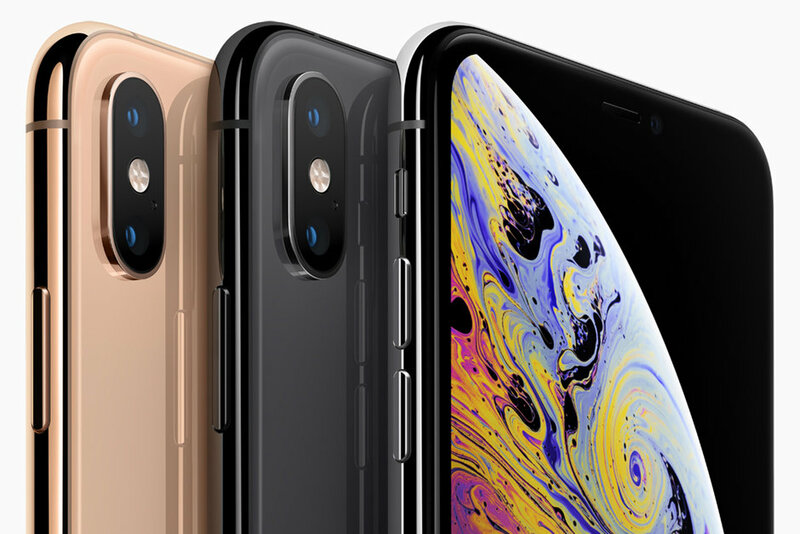 Apple will announce three iPhone models at its September event, including an iPhone XS, an iPhone XS Max, and an iPhone XR. Rumors claim that the two of this year’s iPhones will cost more than $1000 at launch. The reason behind this lies in their premium components. Buying an iPhone XS or iPhone XS Max will cost you a fortune, making signing up for a contract plan a better choice. However, a locked phone has a lot of restrictions that may ruin your experience. If you are a regular traveler, then you cannot bring it by your side as it won’t work with any local Sim card unless you are willing to pay roaming charges. For some background, roaming charges are when your carrier detects that you are using the phone outside of your carrier’s coverage area and starts charging you. Data roaming fees are pretty expensive and may vary depending on the carrier that locks your phone. AT&T is now charging $60 per month for unlimited text and 1GB of mobile data every day. If you want to make phone calls while traveling internationally, then you are looking at around $0.35 per minute. Fortunately, you can unlock your phone so you can bring it anywhere in the world. If you are planning to sign up for a carrier plan this year, you need to unlock it. Before we begin, I have gathered everything you need to know about unlocking a smartphone. Unlocking is pretty common out there and you may find a ton of unlock services on the internet. Many years ago, unlocking was not allowed in a lot of countries due to government policies and regulations. However, we no longer live in those days as unlocking is widely accepted out there. Unlocking is basically when you remove a code placed by your carrier to release your phone. Back in the old days, unlocking involved installing some kind of software on your phone. However, most unlock apps out there are suspicious and dangerous. Therefore, I recommend you stay away from software unlocking. Unlocking an Apple iPhone has become much easier than before. In reality, you can contact your carrier and ask for the unlock. However, you must meet a number of requirements to be qualified for the unlock. This is a waste of time and money. If you do a Google search, then you may find hardware unlocking. As the name suggests, hardware unlocking requires you to alter your phone’s components. Doing so will void your phone’s warranty and turn your phone into a useless brick. Software unlocking was once a popular unlock method out there. However, it no longer works on modern iPhone models. So, stay away from it at all costs. IMEI unlocking is the best unlock method out there as it is fast and safe. IMEI unlocking requires IMEI number of your phone only. Following this method, your phone is safe and sound. For some background, IMEI number is the serial number that is assigned to every mobile device. Every iPhone has its own IMEI number that sets it apart for other devices out there. To access IMEI number of your phone, you simply need to dial *#06# from the Phone app. Once you are done, you should see a 15-digit serial number. DoctorUnlock.net is cheaper when compared to competitors on the market. Pricing may vary depending on the carrier that locks your device. However, it usually starts at $28. Besides, they are pretty fast. For my iPhone 7s, I waited 3 days until my phone was unlocked. At DoctorUnlock.net, they have a refund policy. Specifically, you can request a money-back if you are not satisfied with the unlock. So, don’t worry about losing your money if your phone won’t get unlocked. Step five: Once your payment has been received, then they will work on your order. Now just simply follow their instructions for completing the unlock. I used doctorunlock.net to unlock my iPhone XR, very fast and cheap.